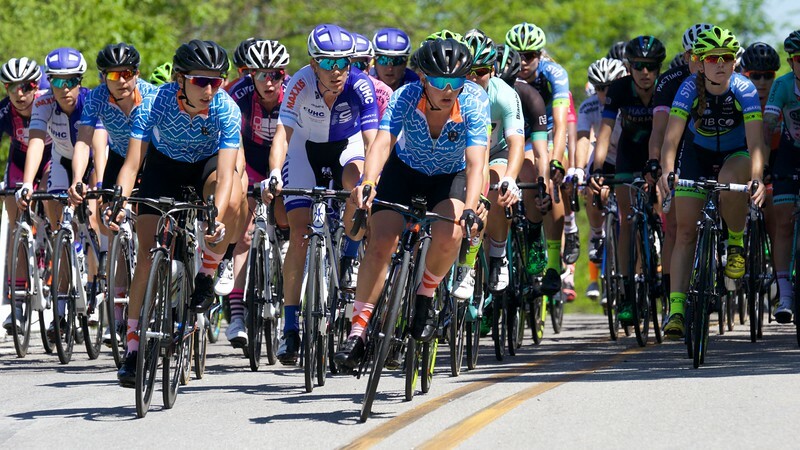 The Joe Martin Stage Race is a nationally and internationally contested cycling race in Fayetteville, Arkansas. 2016 will mark the 39th anniversary of the amateur races; 14th anniversary on the USA Cycling Pro Racing Tour (PRT) and 2nd year to be on the Union Cycliste Internationale (UCI) America Tour calendar. 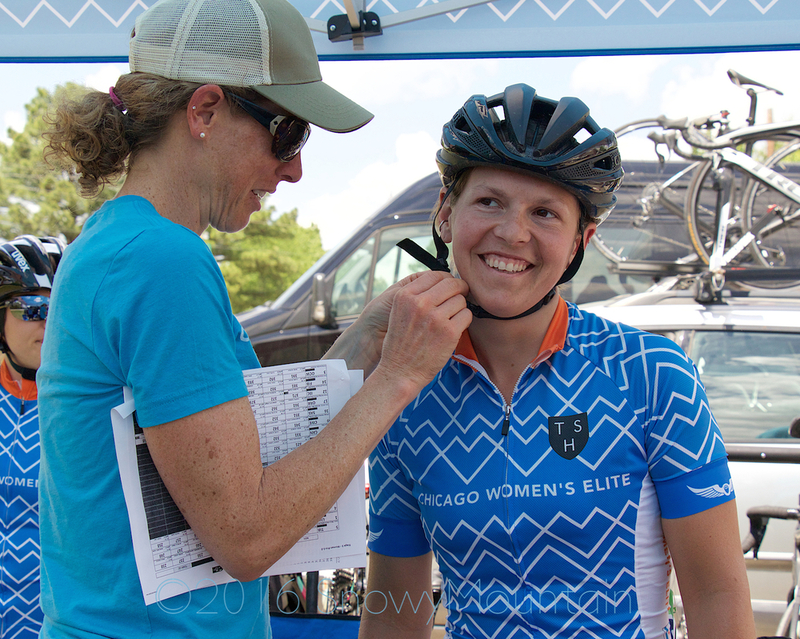 Chicago Women's Elite Cycling is racing Joe Martin as a composite elite team. Follow our Instagram and Twitter for photos, commentary and race updates. Want to support CWEC? You can donate here! A member of the support crew, Annicka Campbell-Dollaghan, is posting updates from the field. Special thanks to SnowyMountain Photography for their beautiful photos. Day 3 was the day of the “lollipop,” as it’d come to be known: two loops of a 24 mile course with a 10 mile "stick" of the lollipop in to the finish (here's the course map. You can see the lollipop, right?). 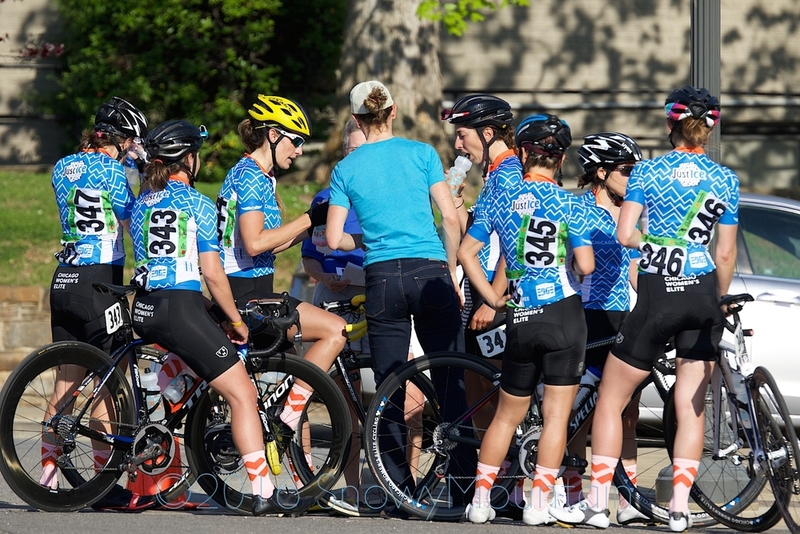 The day was hot and sunny as the Chicago Women's Elite Cycling support team set up camp in a subdivision in Prairie Grove, AR. After a neutral rollout of the pro/elite women at 11:50am, the action began quickly, with a small group off the front after just a few minutes. That group was reabsorbed quickly, but a rider from Tibco and Beth Hernandez from Colavita countered and quickly had a 25 second gap on the group. Lesser known role of a DS - helping out with helmet tech. Alison lends a helping hand to Nicole Mertz. Alison reviews the day's plan with the team. The pointy end of an international UCI race is really, really difficult to reach and maintain. A field of 100 pro women all share a singular goal: get to the front. It’s home to action, opportunity and even recovery (at least mental recovery) in a race. With the gap holding steadily, rider after CWEC rider got to the front of the peloton to feel it out. The images below from SnowyMountain Photography tell the story of, as we say on Twitter, a true #CWECVictory. Amber & the CWEC team are well-positioned in the fierce pack. Sierra Siebenlist, Daphne Karagianis and Nicole Mertz at the pointy end. Sun's out, tongue's out. Nicole, Daphne and Sierra continue to work at the front. The highlight of the course loop was a tough climb they call “The Wall.” Positioned 8 miles into the 24 mile loop, The Wall was where the big attacks were predicted to come, and the predictions were correct. The field split up, and four CWEC riders (Christine Thornburg, Anina Blankenship, Jannette Rho and Sierra Siebenlist) teamed up with a larger group to work back to the leaders. As riders climbed across The Wall, the attacks at the front continued. Lenore Pipes (OrthoCarolina) and Gillian Ellsay (Rally) created a break at the beginning of a “flatter” section of the course traveling through a little town called Hogeye. They were reabsorbed and countered by two riders from Tibco and Weber Shimano. At mile 14.2, Cari Higgins (United Healthcare) drafted through the caravan, trying to regroup with the peloton. The first intermediate sprint at mile 15.4 was quickly approaching, and the current break’s gap had grown to one minute and thirty seconds. The United Healthcare team went to the front and proceeded to cut the 1:30 gap in half. Amber Pierce in a sea of riders. At the feed zone, Kevin Pietka of CWEC support crew and Morleigh Schneeberger of SnowyMountain Photography were able to successfully deliver Osmo and water bottles to Amber Pierce, Nicole Mertz and Daphne Karagianis in the lead group - an impressive feat during a stressful, crowded cluster of riders & feeders trying to make contact. Morleigh and Kevin repeated the feat when Christine, Sierra and Anina came through as well. #CWECvictories! I'd distributed water bottles to the CWEC riders in the feed zone during Stage 2 on the previous day. Being in the feed zone gives you a unique perspective on the pro peloton. You know how they always look calm and collected on TV? Seeing, feeling and hearing a group of 100 racers barreling past you at 30mph is anything but calm. Just standing on the side of the road as they went by was an amazing adrenaline rush. Luckily, my feed zone inexperience was trumped by the excellent bike handling skills of the CWEC riders, who grabbed the bottles without issue. The other thing that struck me in the feed zone was just how much the entire peloton was suffering. A reminder that racing never gets easier, even for the pros - you just get better at suffering. Christine Thornburg, Sierra Siebenlist and Anina Blankenship battle the hills of Hogeye. Daphne works with the chase group. The day topped out at around 80 degrees. Anina and Sierra team up. Back at the front of the race, UHC successfully brought the group together again. The peloton braced for the counter attack. Would it come from Rally, who had ridden aggressively in the previous day’s race? At mile 37, the lead group split in two. It was tough to see where the CWEC riders were positioned as the attacks continued. At the second sprint location, Amber and Nicole were back with the first group, with Daphne in a chase group about a minute behind the leaders. Coming back into the finish perhaps 10k out, Joanne Kiesanowski (Tibco) attacked in the front group and got a small gap. At 5k to go, UHC was working to close it, but Joanne's gap was holding. With 3k to go, UHC successfully reeled the her in. At 1k to go, Nicole Mertz attacked with another Tibco rider, but it didn’t ultimately stick. With about 200m to the finish, Nicole was well-positioned in the group, but was suddenly caught up in a crash in front of her that took multiple riders out of contention. Amazingly, she was able to finish after a fast bike change from CWEC mechanic and fix-all, Bobby Kauffman. Amber was forced to come to a complete stop behind the crash but was able to finish and place well in the results. Daphne finished with the first chase group, and Sierra, Anina and Christine finished with an additional chase group. Jannette had flatted behind the caravan, a disappointing end to her race, but turned around and provided support to her teammates and support crew. It was a hot, tough 64 miles for our riders, but they achieved their goal and then some. They didn’t just experience the pointy end of the race - they were even able to control and influence it. Mission accomplished, CWEC! Today's race report is a composite of live race updates texted from CWEC manager Cathy Frampton, who was watching the race from the follow car (seen here)! Thank you, Cathy!